Are you a greeting card writer? 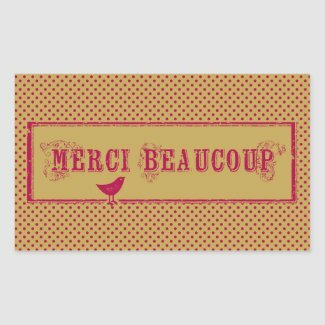 If you offer any cards on Zazzle.com, you probably are! Greeting card writers do include many Zazzlers and designers for other print-on-demand companies. 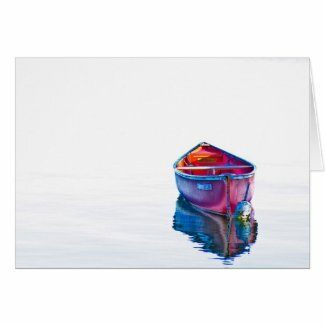 This red canoe card is blank. While the design has sold on other products, it has never sold as a blank greeting card. Zazzlers – DON’T say you only sell blank cards. Frankly, that’s a cop-out for most designers. If you can’t think of anything to say, how can your customer? If you want to leave them to do the hard part, what do they need you for? And, on Zazzle, how would they ever find you? People buy cards because of what they say AND show. You can write better greetings – and will probably make more money in the process! People love for you to come up with something they wish they would have thought of themselves! 7 Mistakes Greeting Card Writers Make directly addresses those who submit verse to greeting card companies, but there are basic tenets that apply to all greeting card writers. Do you think it’s hard to write suitable text for greeting cards? It can be! 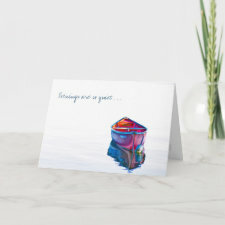 Even artistic types who create their own cards online at Zazzle or at home with rubber stamps and textured paper can feel blank when it comes to adding verse to their card. Verse doesn’t have to mean a poem. Shakespeare is not who you should be channeling (that’s in line with one of the mistakes that greeting card writers make!) And do you really see that many rhyming verses in cards? Beyond the old “roses are red, violets are blue” style just for fun, that is. Good verse hits with a zing and makes me believe someone knows exactly how I feel. Customers want a sentiment that is direct, short and honest. Mistakes Kate Harper includes are Forgetting That A Card Is A Relationship, Too Many Adjectives, Too Much Syrup. While not all of it applies to Zazzlers, many designers on Zazzle.com are also interested in other venues where it would apply. Don’t make these boo-boos either, greeting card writers! Ms. Harper didn’t include spelling and grammar cautions, but Zazzlers need to watch out for these errors as well. 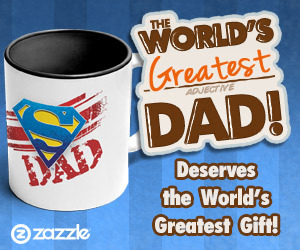 Sentiments like these are seen too often on Zazzle! Your the best! FAIL. You’re the best. RIGHT. You could of been a ghost. FAIL. You could have been a ghost. RIGHT. Conradultions! Your on your way! FAIL. Congratulations! You’re on your way! RIGHT. Ouch. The fails are ugly, aren’t they? Greeting has been added to turn this red canoe card into a sentimental missing you card. Who would buy this version? Go hang out in the card section of Target for an hour. Go visit your local Hallmark store. What cards are you drawn to? If you don’t have a particular occasion in mind or aren’t newly, madly in love, you probably end up in the humor section, right? Look at how the writers draw your attention. How do they make you laugh? Are there cards that touch you? Try to figure out why and how you can do something similar. We’re not talking about copying; we’re talking about seeing what works. The cards in the stores got past a bunch of hurdles that Zazzle cards don’t have to jump over. There’s more to learn from those who are doing it right, isn’t there? People love to laugh and greeting cards are one way to share humor. Add fun greetings to your cards! Write sentimental verse that you wish someone had written for your wedding or new baby or the loss of your old dog. 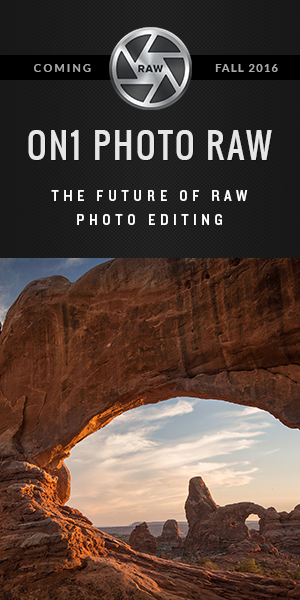 Make several versions and try them out on your friends, or ask for opinions on your blog or Facebook page. Do you see how much easier it is to market greeting cards with verses? They go with occasions or offer humor or sentiment, so they are much easier to categorize and promote! It’s not necessary, but would really help if you did something like narrate a National Geographic video about an obsure, fearless, impossible-to-poison-or-destroy little animal and made it so funny that others start to care that Honey Badger Don’t Care! You have heard of the viral Honey Badger video, right? [warning – narrator Randall is a potty-mouth] It turned the honey badger and Randall into famous icons for 2012! That good verse can turn into better dollars. 🙂 You can do it. Make me pick up the phone and call my sister. Make me not feel alone when I bury my dog. And take that to the bank! Christmas holiday cards are the biggest sellers for greeting cards and Christmas sales are just getting underway, so it’s not a bad time for Zazzle designers to check on their cards and add a few more with appealing text! Or get a jump on the one of the other most popular greeting card occasions – Valentine’s Day! Wishing you all a lovely Friday and a prosperous holiday season. Earn more money on Zazzle!